Ho'oponopono is an ancient Hawaiian method for restoring harmony, solving problems, and releasing stress. 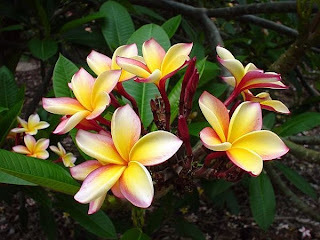 Traditionally, extended families used Ho'oponopono to "set things right" when conflict arose. * Moderated by a family elder or Kahuna Lapa'au (healer), this was like a large family conference where all could speak their hearts. But as Dr. Ihaleakala Hew Len often mentions, its success required all family members to be present. Depending on the issues involved, the entire process could be lengthy. But the steps would be outlined for everyone beforehand: they include prayer, stating the problem, discussion, confession of wrongdoing, restitution when needed, forgiveness, and release. The Ho'oponopono began with a "pule" (prayer) asking God to help and bless the proceedings. The family and leader together would seek out the cause of the problem or conflict, which might be very complex. The leader focused the conversation, exploring these hurts so transgressions ("hala") could be stated. Perpetrator and person wronged were bound together in a negative entanglement called "hihia"; this could extend outward into a complex knot involving an entire net of relationships. Freeing everyone from this was needed so that the family could relate healthily again. The mediator also kept individuals from directly confronting one another, so as to avoid emotional outbursts and further hurt. When speaking their feelings, the emphasis was to be on self-scrutiny: examining one's own part in the problem. People were encouraged to share honestly, yet in a way that avoided blame and recrimination. Using these guidelines, layer upon layer of trouble could be discovered, explored, and resolved, until family relationships were free and clear. Everyone could both forgive and be forgiven; each could release the other from entanglement. The process ended with a prayer, and also a meal together. In this way, relationships could be restored. What a helpful process, if families do it often enough! What happens when conflicted families are separated by geographic distance, though? Kahuna Lapa'au Morrnah Simeona updated and simplified this process for modern times as "Self Identity through Ho'oponopono". Rather than bringing together all human parties in a conflict, this updated process brings together all inner aspects of a single individual who contains the "problem" (memories within and running us) in the first place! It's interesting that traditional Ho'oponopono involved a lot of talking and communicating -- clearing the air, so to speak. But the updated model doesn't require us to speak to anyone, just work within ourselves. When we're full of old grudges, hurts, and resentments, it's no wonder that hurtful words come out of our mouths. The "gunk" becomes a chronic fog surrounding and permeating us -- making things worse with each utterance. What if instead of rehashing all those, we can ask Divinity within to release us and them? What if we can cut ties with ("kala") these resentments and their accompanying entanglements? Imagine what it might be like if the next words we speak to others are loving, as a result of dealing with ourselves first? Morrnah's personal gifts were many; her ability to reconfigure the complex traditional Ho'oponopono process into this simplifed form was definitely one. The lengthier version can still be practiced as desired, but I'm grateful for Morrnah's resourcefulness. It means those who are far away from their families -- and without access to trained Ho'oponopono facilitators -- can still deal with these issues on their own. Mahalo nui loa, dear Morrnah, and to Dr. Ihaleakala Hew Len, Mabel Katz, and others for continuing to teach us. PS: Those interested in downloadable recordings of Dr. Ihaleakala Hew Len and Mabel Katz's most recent teleseminar may click here for more info. *Shook, EV. Ho'oponopono: Contemporary Uses of a Hawaiian Problem-Solving Process. Honolulu: University of Hawaii Press, 2002. *Pukui, MK, Haertig EW, and Lee CA. Nana I Ke Kumu (Look to the Source). Honolulu: Queen Lili'uokalani Children's Center, 1972. I Love You Pam! Thank you so much for being open to Ho'oponopono!